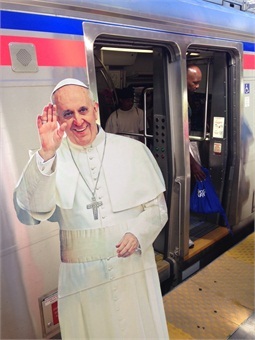 Earlier this summer, SEPTA's marketing team did a "PopUpPope" promotion, where they posed a Pope cutout at different stations and on trains and buses. 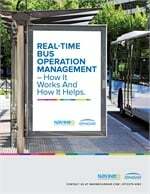 Typically, when riding the rails in the Philadelphia region, Southeastern Pennsylvania Transportation Authority (SEPTA) customers can purchase daily, weekly or monthly passes — even onboard tickets — for their journeys. But the weekend of Sept. 26 to 27 will be far from a typical weekend in Philadelphia — Pope Francis will be in town, along with an estimated 1.5 to two million people attending public events along the city’s Benjamin Franklin Parkway. 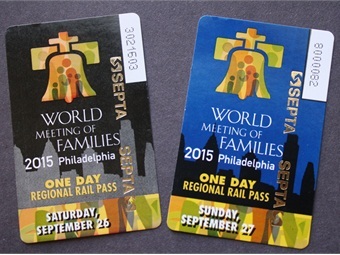 Such an exceptional occasion calls for special rail service and a different way of selling and distributing tickets to the several hundred thousand pilgrims — and regular customers — that will be riding SEPTA’s Regional (commuter) Rails lines during the Papal visit. 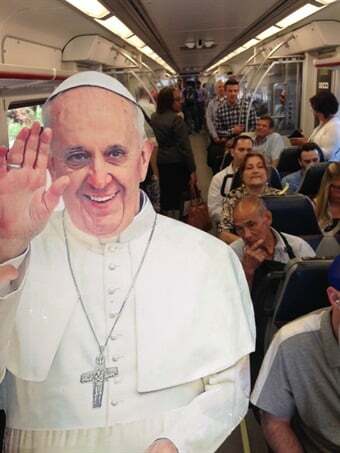 Enter Ticketleap, a high-volume, online ticket agency charged with handling SEPTA Papal visit rail ticket sales — an unprecedented move for the authority. SEPTA’s Regional (commuter) Rail lines carry approximately 25,000 passengers on Saturdays and 19,000 on Sundays. To meet travel demands of visitors from across the country and around the world, SEPTA more than doubled train service during the Papal visit weekend to carry 175,000 people each day. The demand for the rail tickets was far above what anyone at SEPTA anticipated. The site, which received over 54,000 visitors in the first minute of operation, stayed up but was slow and in some cases unresponsive. Within an hour after its launch, the e-commerce site was shut down. How would SEPTA conveniently and fairly sell the 350,000 rail passes? After research and a few recommendations, the authority partnered with Ticketleap. The Philadelphia-area online ticketing platform had experience organizing events of various sizes. 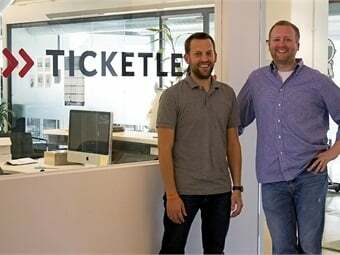 Ticketleap is led by (from left) CEO Tim Raybould and Senior Account Manager Lee George. Ticketleap would host a 24-hour SEPTA rail pass lottery. Those looking to attend the September events would register one time for the opportunity to buy tickets. All interested event goers would have the same chance to purchase the passes — names would be drawn randomly and no one would need to bombard the site with multiple entries as soon as the site was live. To discourage reselling, Ticketleap would “scrub” the entries and remove email addresses that appeared fraudulent or were entered more than once. Ticketleap also contacted the lottery winners and processed pass payments.